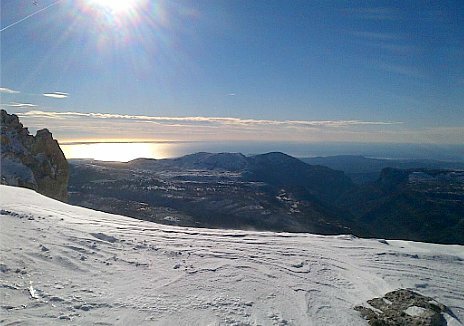 The Côte d’Azur is one of the few places in the world where you can ski in the morning and spend the afternoon on the beach. 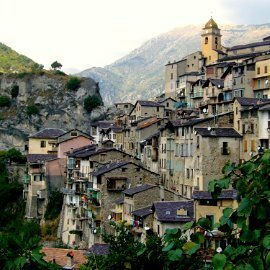 Here, where the Alps meet the Mediterranean, the landscape ranges from steep gorges and spectacular mountain passes to lavender fields and stunning coastal roads stretching from St Tropez to Menton… And Lou Messugo is ideally placed to make the most of all this. 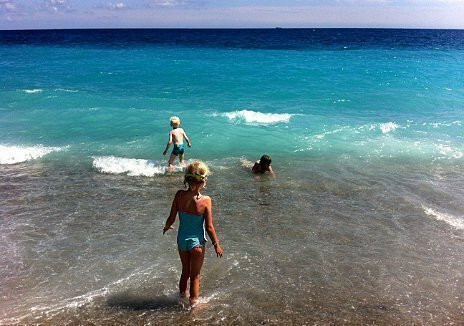 The wonderful thing about the coastline on the Côte d’Azur is that it is so varied and you can choose to go to a different type of beach every day of your holiday if you so fancy! 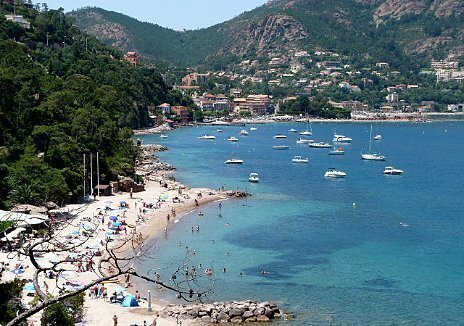 The nearest beach is at Villeneuve-Loubet, only 15 mins away by car, where you’ll find water sports and a yacht club that rents sailing boats by the hour. The beach is pebbly and depending on the wind can have a slight swell making it possible to body surf. Heading east along the coast, the beaches are all pebbly and vary from the grand sweeping bay of Nice’s Baie des Anges to secluded coves on the exclusive and beautiful Cap Ferrat, then on as far afield as Monaco and Italy (still under an hour’s drive). 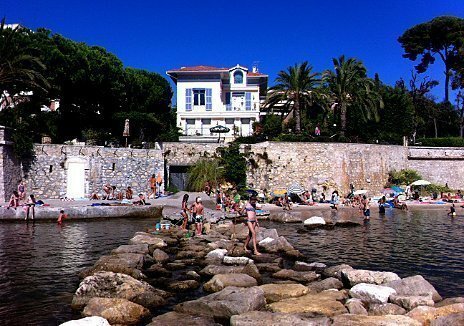 Heading west, you’ll find calm, sandy beaches in Antibes, Juan les Pins and Cannes (30 mins away) and dramatic cliffs and an underwater snorkelling trail at Théoule sur Mer. 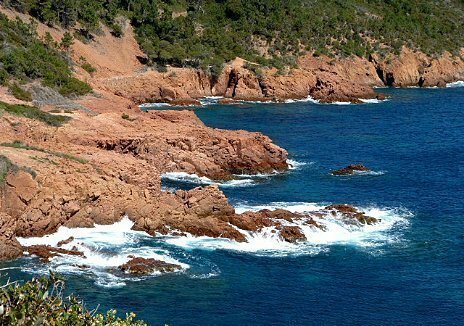 A 15 minute ferry ride from Cannes takes you to the quiet, unspoiled islands of Sainte Marguerite and St Honorat, les Iles de Lerins, with pretty coves, walking trails, a bird watching sanctuary and a medieval fort. You’re spoilt for choice when it comes to cultural attractions in the area, with world class museums, ancient forts, stately homes, gardens and beautiful medieval hilltop villages all within easy reach. 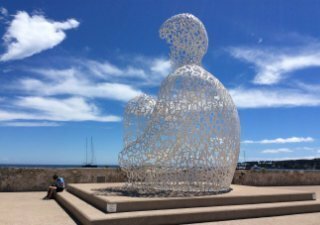 The French Riviera and its surrounding countryside is famous for the artists who have lived here, attracted by the stunning light, wonderful climate and natural beauty, leaving a legacy of fabulous museums and art galleries. 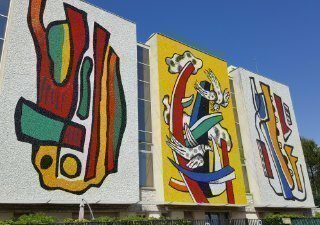 Nice is home to the Musée Matisse and Musée Chagall, both of which have unrivalled collections. The Fondation Maeght in St Paul de Vence is one of the largest private collections of modern art in the world. In Antibes, there’s a museum of work by Picasso, in Biot, Fernand Leger and in Cagnes sur Mer, Renoir. 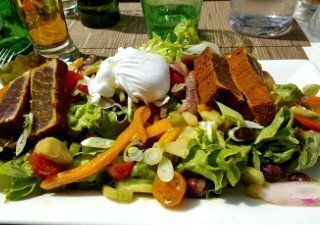 In Villeneuve-Loubet, there’s even a museum of gastronomic history, dedicated to the famous chef Escoffier (inventor of the Peach Melba). 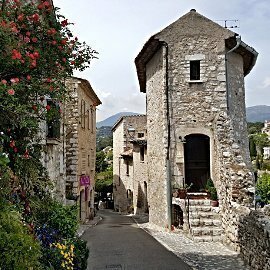 The pretty village of Biot is famous for its glassblowing, Vallauris for pottery, Mougins and St Paul for their art galleries. 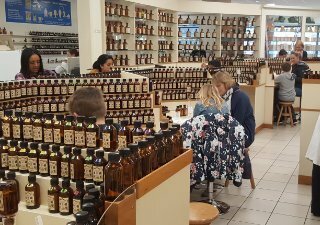 Grasse, only a 15 minute drive, was the world centre of perfume making and still retains several traditional perfume factories which are open to the public. Its museum, the Musée International de la Parfumerie is also well worth a visit. 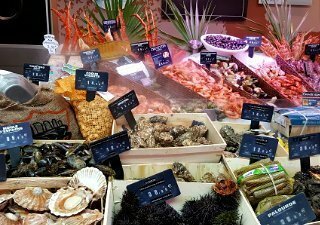 Antibes, renowned for its massive yachting marina, and Valbonne both have medieval centres and wonderful local markets. Nice is most famous for its elegant Promenade des Anglais sea-front but it also has a delightful old town where you can lose yourself in the narrow winding lanes, marvelling at the Italian architecture and myriad of unique and interesting boutiques. 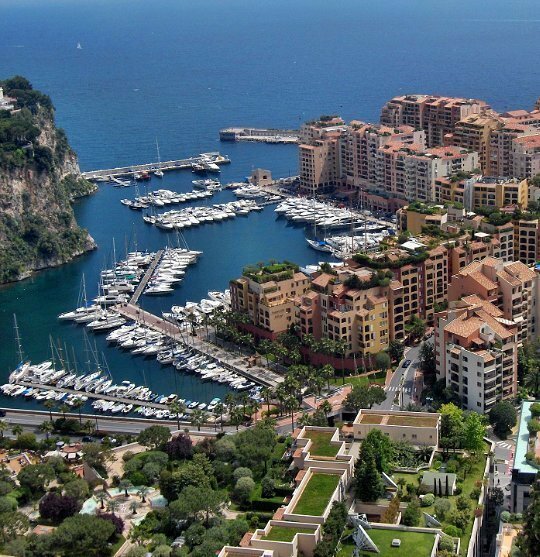 Monaco is only 50 mins away and makes for an interesting day out. 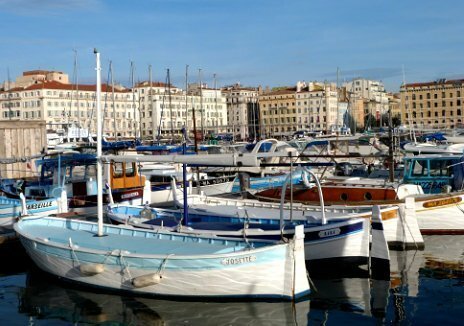 Worthy points of interest include the old town and Royal Palace, the harbour full of super yachts, the infamous casino and the excellent Oceanographic Museum. The countryside around Roquefort-les-Pins has many hilltop villages – villages perchés – ranging from the beautifully restored and thoroughly cosmopolitan St Paul to Gourdon, dramatically perched on cliffs overlooking the Gorges du Loup, and Saorge, an isolated and atmospheric untouched village in the mountains behind Nice. 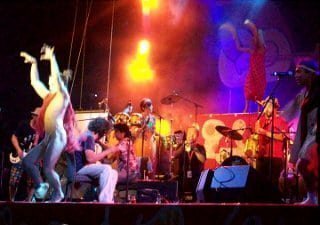 The area hosts many different festivals throughout the year ranging from the glamorous Cannes Film Festival and all the glitz that accompanies it each year in May to the excellent eclectic music festival every summer in Vence Les nuits du Sud. 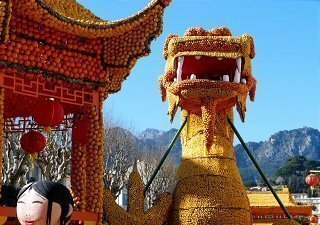 There is also Jazz Ã Juan and Nice Jazz Festival both in July and the unusual Lemon Festival – Fête du Citron – in Menton each February. 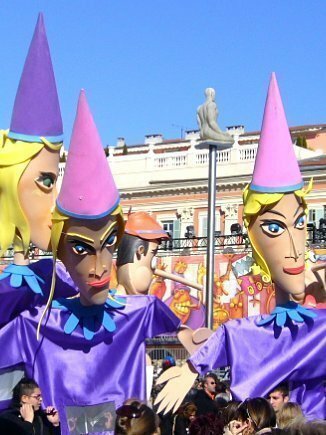 Nice is home to one of the world’s greatest carnivals, Carnaval de Nice, which also takes place in February and Monaco celebrates circus with an international festival every year in January. 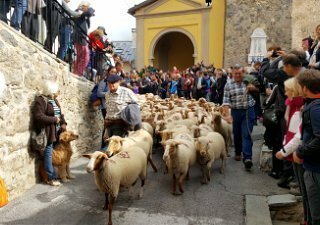 As well as these big names there are plenty of smaller fêtes and fairs going on throughout the year in villages across the region celebrating everything from honey, roses and violets to medieval life, transhumance and traditional dance. Lou Messugo is the perfect base for an active holiday, for as well as all that the sea has to offer, this area is a sporting paradise all year round. 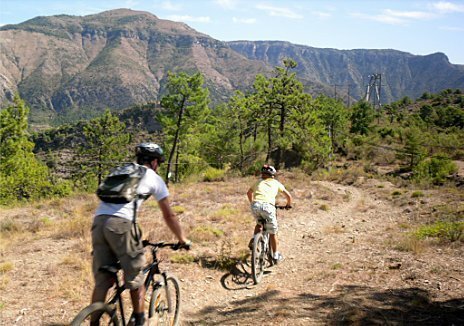 The nearby mountains and coastal paths offer spectacular walking territory, through forests of ancient green oaks or open plateaus covered in wild rosemary and thyme or beaches with majestic umbrella pines. Whether you want an easy stroll or a whole day’s hike, there’s something for everyone. 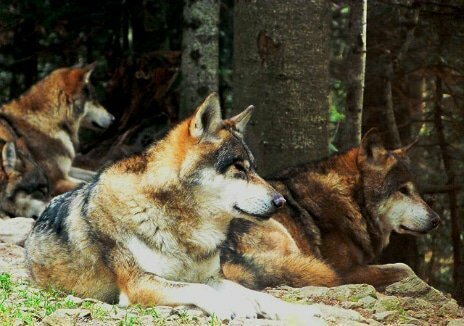 If you don’t want to take the car, there are plenty of walks to be done direct from the door in the surrounding forests, with stunning views across the mountains and coast all clearly signposted. 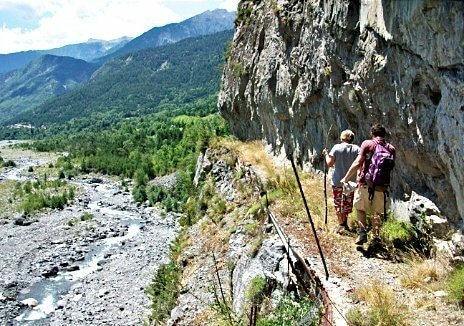 And if you don’t want to walk, the many scenic drives from Lou Messugo will take your breath away. 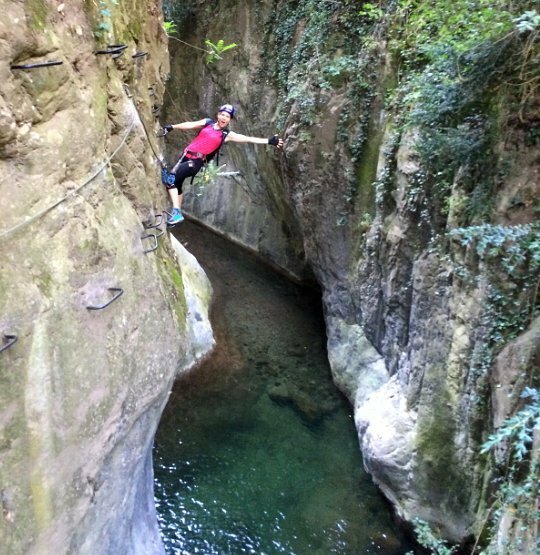 For thrill seekers there’s canyoning and kayaking in the stunning Loup river gorge, para-gliding, rock climbing and Via Ferrata in the hills behind. 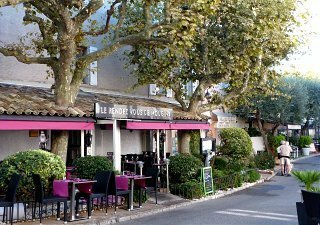 This area is renowned for its challenging cycling, following many of the routes taken in the Tour de France but for something a little less strenuous, the seafronts in Nice and Cagnes sur Mer have wide cycle lanes and pavements excellent for families cycling and rollerblading. There are several top golf courses within 10 mins drive including Opio Valbonne golf club, Grand Bastide and Royal Mougins. 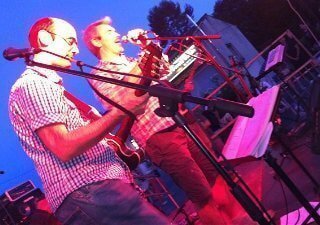 Within 15 mins drive there are 3 equestrian centres offering horse riding at all levels and Lou Messugo can even be a base for days out to the snow for sledging and skiing at the small family resort of GréoliÃ¨res les Neiges, 50 mins away, or for more advanced skiing at Isola 2000 or Valberg and Auron, only an hour and a half away. 10 mins from the apartment there’s a fantastic complex including two adventure playgrounds with climbing trails in the trees from age 4-8 and 8 up, a maze and a children’s theme park. It is ideal for families with young children. Only slightly further away there are a couple of water parks, karting, paintball and crazy golf. For those rare days when you want to be indoors you’ll find bowling alleys, laser tag games, trampoline parks, escape rooms and cinemas showing films in English and French. 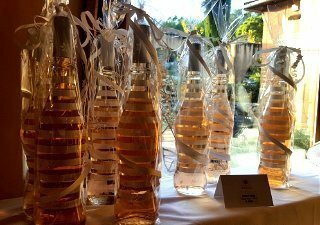 We are located close to many famous Côtes de Provence rosé wine vineyards where you can take tasting tours. 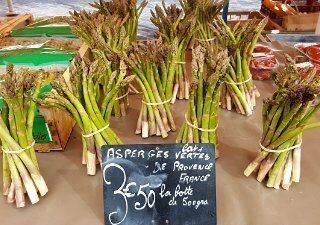 There are also a couple of lesser known smaller producers close by in Nice and St Jeannet. 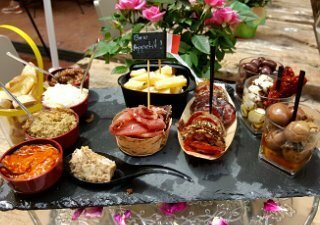 This part of the Côte d’Azur is a foodie’s paradise with traditional markets bursting with fresh local produce (Roquefort every Wednesday morning, Valbonne on Fridays, Antibes every morning among many others) and restaurants galore to suit all tastes and budgets. 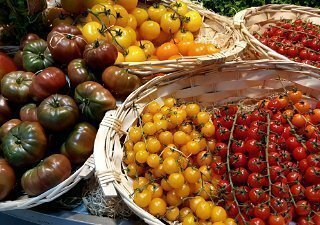 Who says tomatoes have to be red? Roquefort les Pins, while only a small town has around 10 restaurants, all of which are within walking distance from the apartment. 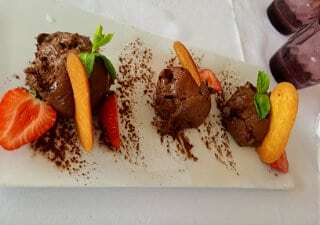 In the immediate vicinity, within 15 mins drive there are several Michelin starred restaurants for a gourmet feast. 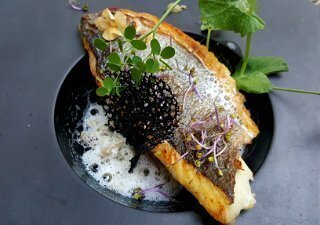 Being foodies ourselves, we will be delighted to share our knowledge, give you tips and help you with restaurant bookings if you should so desire. 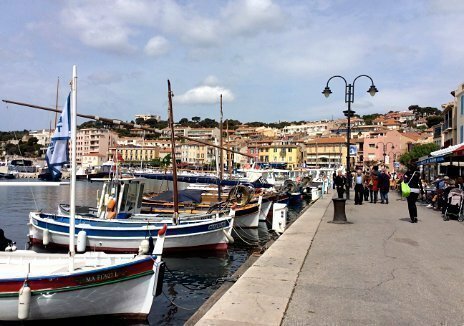 For shopping whether it’s original local souvenirs, a beautiful painting or chic designer clothes you’re after the Côte d’Azur has it all. We are only 10 mins drive from an excellent open-air shopping mall designed to the highest standard with sculptures by international artists, fountains, restaurants and gardens dotted among the shops. 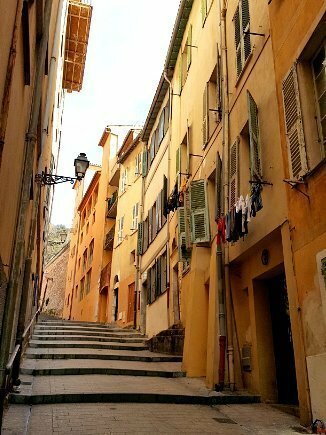 Of course Cannes and Monaco are full of high-end designer stores, while the many villages around showcase their local arts and crafts. In Grasse you can even make your own signature perfume. Take time to explore further afield and you’ll be richly rewarded with breathtaking scenery and a string of iconic cities – from Marseille, founded in 600 BC as a Greek colony, to Genoa, Italy’s sixth largest city, with its World Heritage listed streets and palaces. 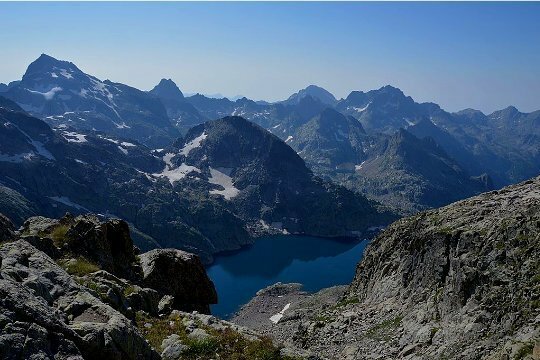 Awesome is a much overused word, but prepare to gaze in awe as you wend your way through Mercantour National Park, with soaring peaks of over 2000m, tranquil lakes and mountain rivers, traditional villages and a wolf reserve, Parc Alpha, open to the public. More sights to make you go wow! 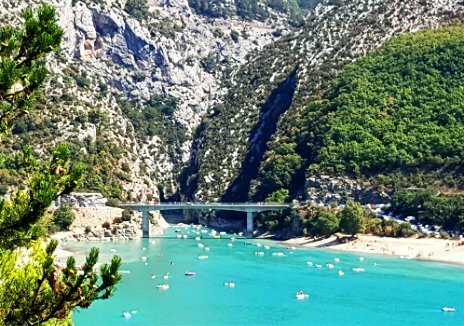 include the spectacular Gorges du Verdon and Provence’s famous lavender fields. As for towns and cities, Marseille, Toulon, St Tropez, Cassis, Aix en Provence, San Remo and Genoa (Italy) are all within 1.5 to 2.5 hours’ drive.